Study Bachelor of Commerce (Accounting), Bachelor of Business (Finance) at the University of South Australia (UniSA). Information for International students. Join a university ranked in the Top 150 institutions in the world for Accounting and Finance1. Graduate with an industry-accredited double degree and a competitive advantage with skills in both accounting and finance. Develop strong reporting and analytical skills. Participate in an overseas study tour learning about business practices and political and cultural influences in other regions. Focus on how external and global markets can impact organisations. Learn from researchers who are recognised as performing world standard in Accounting4. 12019 QS Subject Rankings. 2QILT: Graduate Outcomes Survey Course Experience Questionnaire 2016-18 – Full-time Employment Indicator (Undergraduate and Postgraduate). Public SA-founded universities only. 3UniSA Business School is one of just nine institutions in Australia and 180 globally to be accredited by EQUIS (from over 16,500 worldwide). EFMD, February 2019. 42015 Excellence in Research for Australia (ERA). Build a diversified career as an accountant or in the finance industry, and a desired skill set, with a double degree. In just four years you can graduate with two professionally accredited degrees, and be eligible for recognition and membership from leading industry bodies in both the accounting and the finance sectors. You’ll develop strong reporting and analytical skills, while you learn how external and global markets can impact organisations. You will also learn to use state-of-the-art technologies to identify, analyse and interpret financial information as well as develop strong communication and teamwork skills. We know that employers value graduates with industry experience so there are opportunities to embed an internship, mentoring or work-integrated learning into your degree. You could even work on a business project overseas. The degree starts with core courses in business, accounting and economics, giving you a solid grounding in these important areas. You’ll then branch out into your specialisations, majoring in accounting and finance. 2. Students who have received an AAFP Grant for completion of SACE Stage 2 Accounting* with a B+ or higher should not complete this course but undertake a professional development elective approved by their program director within three years of commencement of their program, as outlined in their grant letter of offer. *or interstate equivalent to be determined by the School of Commerce. 3. Students who have received an AFBP Grant for completion of SACE Stage 2 Specialised Mathematics* or SACE Stage 2 Mathematical Models* with a B+ or higher should not complete this course but undertake a professional development elective approved by their program director within three years of commencement of their program, as outlined in their grant letter of offer. *or interstate equivalent to be determined by the School of Commerce. Graduate with a professionally-accredited double degree and a competitive advantage in just four years. 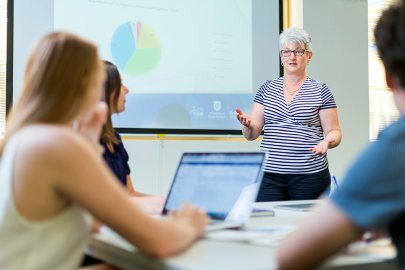 The UniSA Business School is classed in the top one per cent worldwide1 and is one of the largest leading providers of accounting and finance education in Australia and Asia. 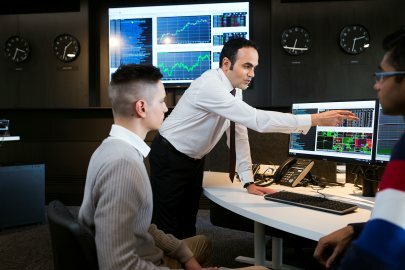 You will benefit from our strong links with industry, as well as gain practical skills with computer simulation software. 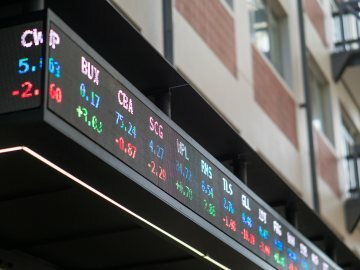 You'll also learn in our state-of-the-art IRESS Trading Room on campus, which includes a market data feed and financial analysis tools – the same technology used by the world's leading banks and investment firms. Our flexible delivery and extra-curricular opportunities are designed to suit your lifestyle, preferred way of learning and career interests. You can benefit from online and on-campus study, part-time or full-time learning, Summer and Winter School intensive courses, mentoring and networking opportunities with industry and accelerated learning pathways. Plus, you can make the most of professional development courses endorsed by industry, build leadership skills employers value through UniSA+ and seek support at our on-campus Business Student Hub. Take a glimpse into Accounting and Finance at the UniSA Business School. This program is recognised for maximum exemptions toward the Association of Chartered Certified Accountants' (ACCA) professional programs of study. This program is recognised for maximum exemptions toward the Association of International Accountants' (AIA) professional examinations. Between now and 2020 employment in Australia for financial brokers and dealers and investment advisers is projected to increase by 17,500 (19 per cent)1. By 2020 employment for accountants, auditors and company secretaries in Australia is projected to increase by 17.1 per cent1. I worked as a practising accountant and now bring this experience to our programs working alongside an outstanding team of academics, educators, professional staff, alumni and the accounting industry. Our programs develop students with the skills and knowledge to become the next generation of accountants and business leaders. When I joined UniSA Business School’s Vietnamese student club, I got a lot of support from my peers and became involved in activities and events where I would communicate with people from many different countries. 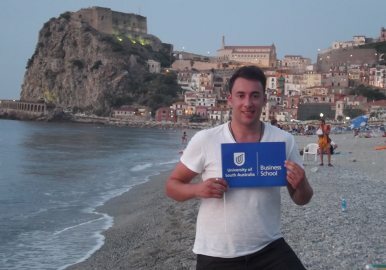 I also had work experience opportunities relating to my degree in finance and accounting. I took care of the reimbursements and general finances of the club which has built valuable networks with the finance staff of the Business School.